The Japanese Studio 4°C released the first full trailer for Children of the Sea, a new anime that promises to be very interesting. Below video and poster. 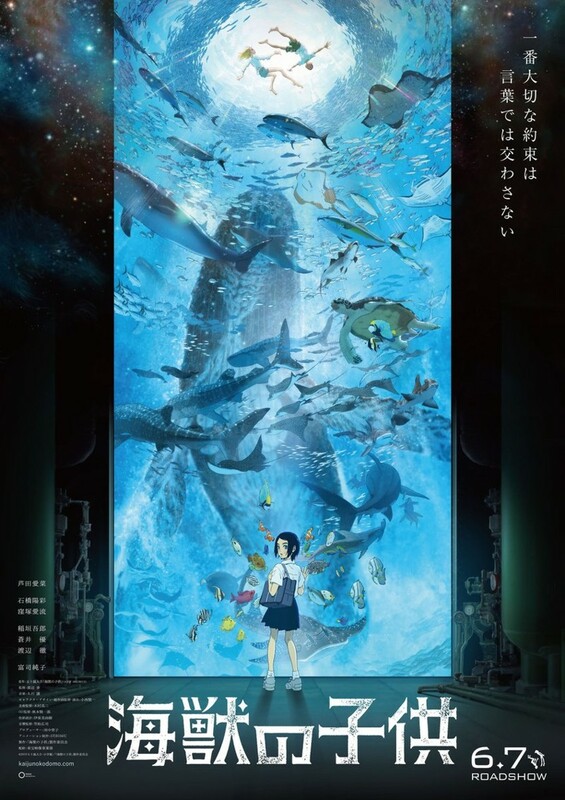 Adaptation of the manga Kaiju no Kodomo (the original title) by Daisuke Igarashi, the film is directed by Ayumu Watanabe (Uchu Kyodai), with the character design and animation direction by Kenichi Konishi (Tokyo Godfathers, The Tale of the Princess Kaguya) and the soundtrack composed by Joe Hisaishi (Studio Ghibli composer). The story talks about the two faces of the sea. What appears on the surface and the secret one, hidden in the depths. Evocative, surreal, disturbing and extraordinary will be the adventure of a girl discovering a great mystery enclosed in the oceanic depths. 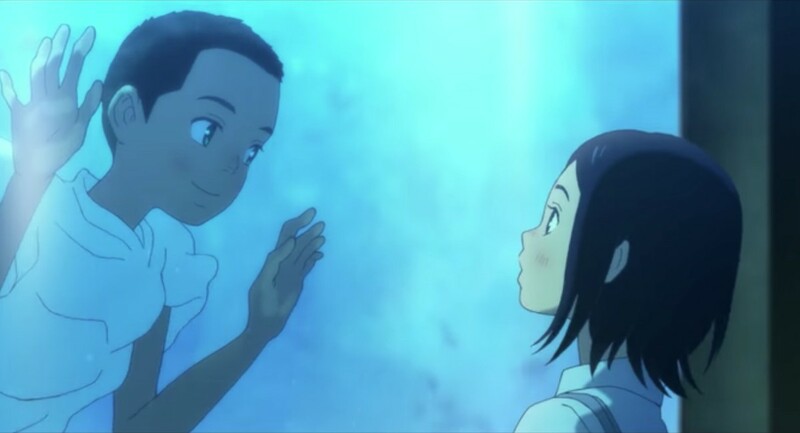 Created with beautiful two-dimensional animations and CG elements, the film will hit Japanese theaters on June 7.